Customers can choose rotocel extractor or drag chain extractor based on their requirements. For different raw materials, grid trays clearance and grid trays arrangement will be properly adjusted to ensure that the oil residues in seed meal is minimum. In addition, liquids in seed meal will be completely drained off, which contributes to minimum solvent content. As a result, the burden imposed on desolventizing device in sequential process will be greatly alleviated, which further reduces steam consumption. 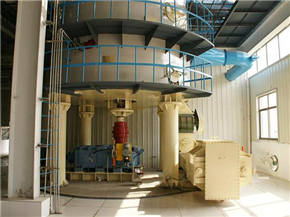 The machine consists of pre-desolventizing layer, heat exchange layer, desolventizing layer, heat recovery layer, drying layer and cooling layer. Materials levels at each layer can be automatically controlled. Full utilization of secondary steam reduces steam consumption. 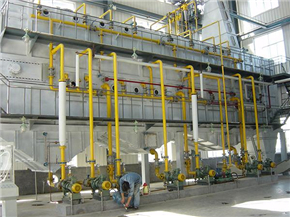 Mixed steam will be used to heat miscella after meal foam removal, which further saves energy. 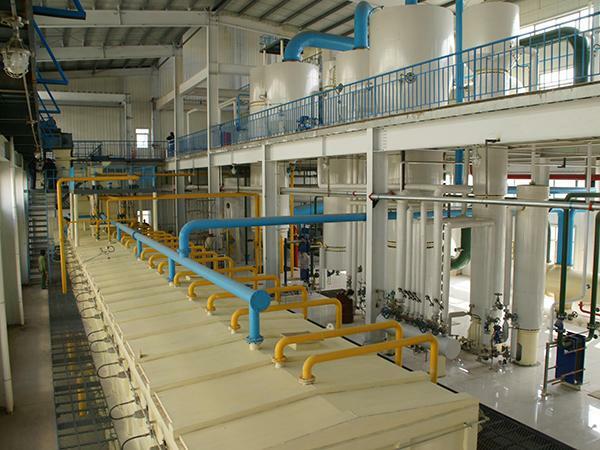 The process features thorough desolventizing, light yellow meal, complete passivation of antinutritional factors, short time required for high temperature desolventizing and low loss of meal NSI. 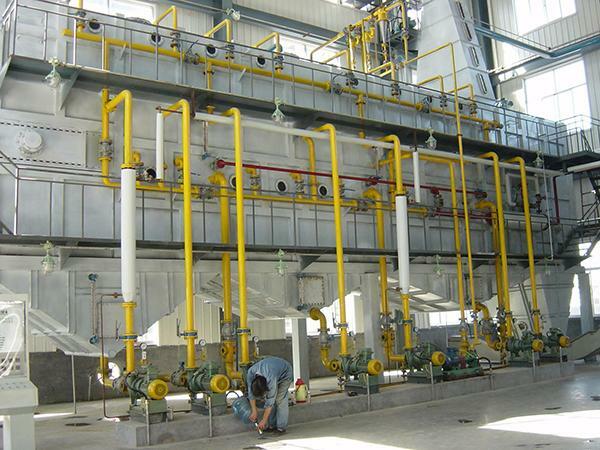 The process is designed to filter out solid impurities prior to miscella evaporation. 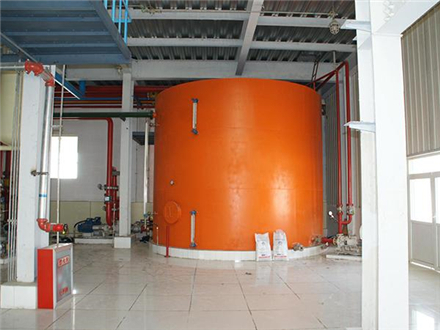 Devices used include high pressure delivery pump, centrifugal separator and filter with slagging function. 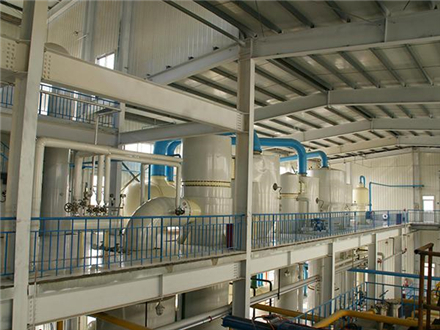 Optimum filtration effect can be achieved by combination of centrifugal separation precise filtration. 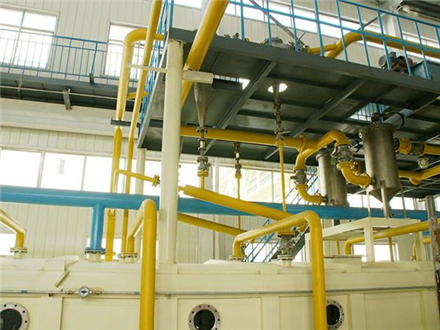 Since the filter is able to remove slags automatically, no manual operation is required. 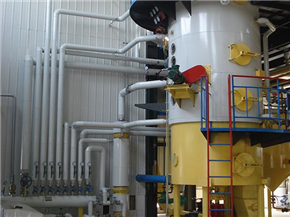 Devices used in the process contains evaporator, disc stripping tower, flash separator, heat exchanger and vacuum unit. Under a vacuum and negative pressure condition, solvent in the miscella will be evaporated and separated by rising film evaporation and direct stripping. 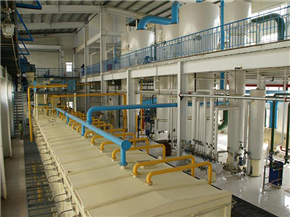 After thorough desolvation, bright color leached oil will be obtained. 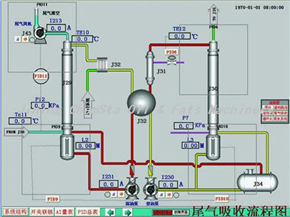 To ensure system stability and reliability, an automatic PLC control system is adopted for control of evaporating temperature and vacuum level. 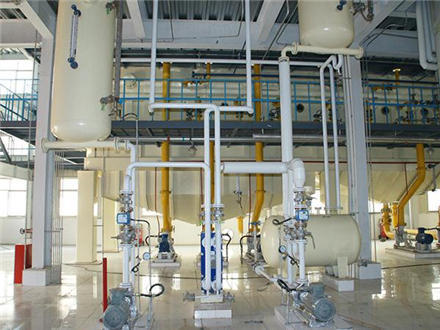 Both mixed steam and power steam for vacuum pump will be sufficiently used for evaporation. 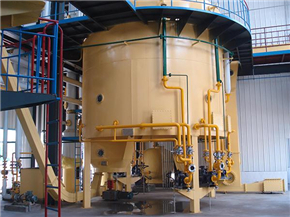 Heat transfer and mass transfer between cool and hot medium furthers reduces steam consumption. In addition, lipid oxidation can be prevented as well. 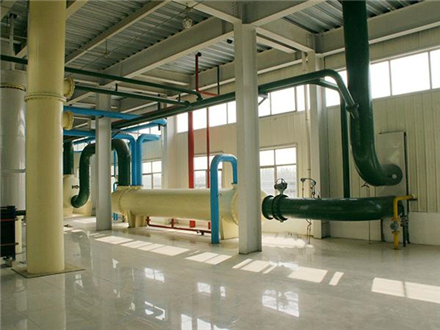 The system mainly consists of condenser and circulating cool water system. 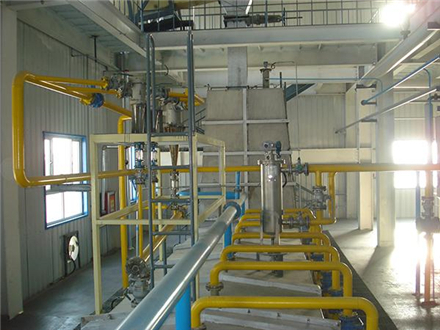 Under the vacuum condition, condensable solvent steam is condensed into liquids for cyclic utilization through dividing-wall heat transfer. 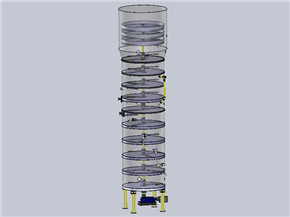 Multiple-pass structure of the condenser and proper settings of flow rate and speed of circulating water will greatly improve efficiency of condensation and separation and largely reduces investment capital and operating cost. 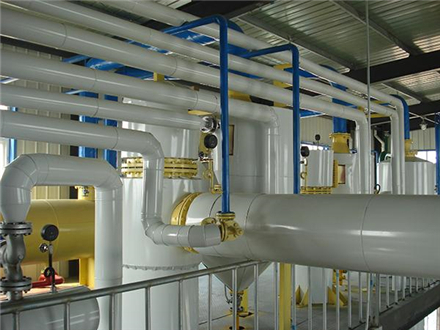 In addition, tube plates, baffle plates and heat exchange tubes are all made of stainless steel, which facilities cleaning and withstands corrosion. Moreover, great condensation effect and long service life can be fully ensured. 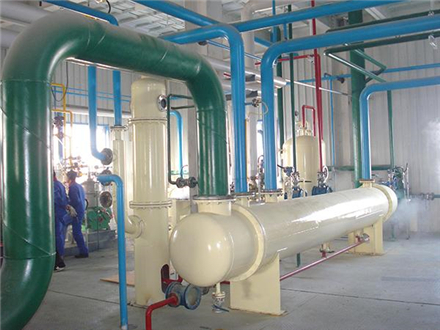 The system consists of Paraffin absorption column,Paraffin desorption column,hear exchanger,storage tank, punp,Exhaust gas blower and so on. It is able to recycle more than 98 percent solvent in the exhaust gas, which reduces solvent loss and protects environment at the same time. 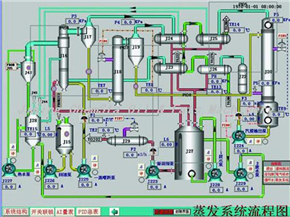 The system makes use of food-grade liquid paraffin to adsorb solvent gas mixed in exhaust gas. 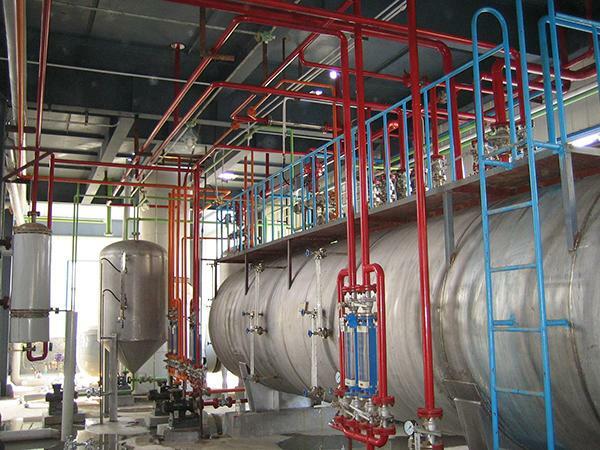 The solvent steam will be distilled and separated with the help of superheated steam. Then the solvent steam obtained will be recycled through condensation. To ensure stable absorption efficiency and system reliability, automatic control devices are applied to control important parameters such as flow rate, temperature and pressure. 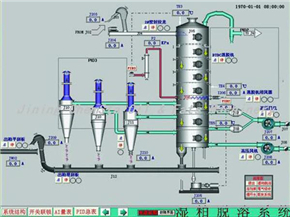 The system consists of solvent-water separator, boiling tank,and fresh solvent pump. It separates water from solvent based on the principle that water repels solvent and two liquid layers will be formed in their mixture. 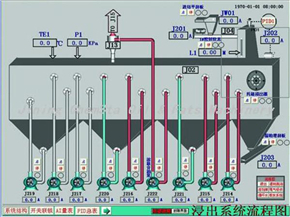 To ensure stability and reliability of the system, automatic control devices are applied to control important parameters such as flow rate, temperature and material level. In our production lines, we make use of Siemens PLC control system, which is one of mainstream automatic control systems in today`s industry. The efficient, stable and advanced DCS control system consists of operation station, control station and communication network. 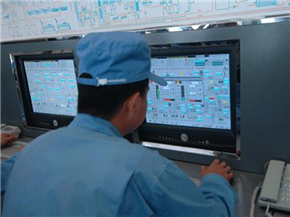 We utilize high-speed and large-capacity S7-400 series PLC at the control system, large-screen LCD at the operation station, WINCC 7.0 industrial control software as monitoring software and PROFIBUS filed bus network for communication. Looking for ideal High Quality Rotocel Extractor Manufacturer & supplier ? We have a wide selection at great prices to help you get creative. All the Drag Chain Extractor are quality guaranteed. 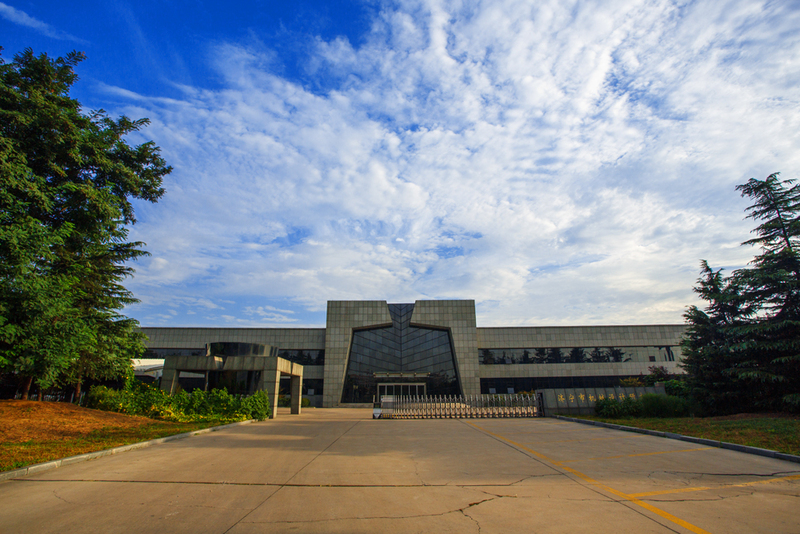 We are China Origin Factory of High Quality DTDC Desolventizer. If you have any question, please feel free to contact us.